The Burrus Seed sales team recently held their annual sales season kick-off meeting. The group met in Branson, Missouri for a weekend of training, discussion, collaboration and fun. Following an afternoon of meetings introducing and reviewing various topics, the sales team, management team, and their families met for a dinner and awards banquet. The awards portion of the evening is always looked forward to, where the hard work put in over the past year is recognized and admired. We are proud of the efforts our staff put forth each day to advance the success and profitability of our growers. Two new awards were introduced this year. The Burrus Seed Breakout Performer of the Year recognizes the sales team member who focuses on expanding their business. The 2018 Breakout Performer of the Year was awarded to Colby Reilson of Highland, IL. 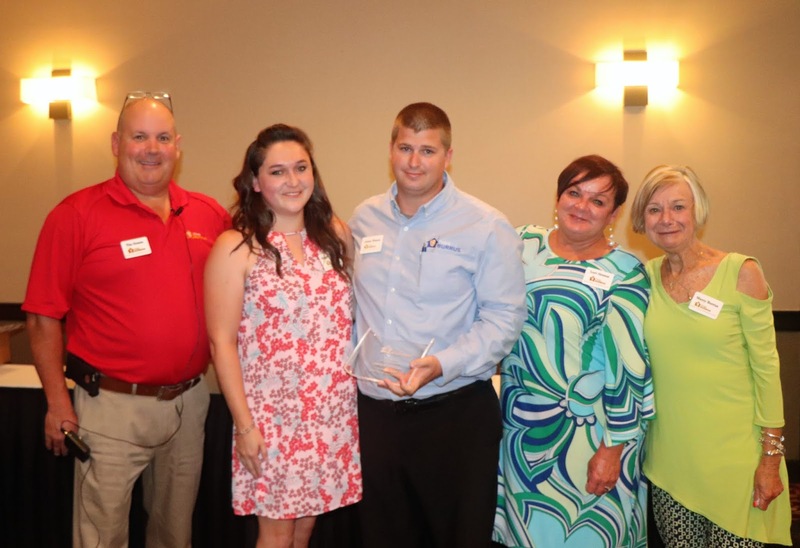 In memory of Tom Burrus, a new award was introduced to recognize the team member who demonstrates outstanding effort to help the customers and company win. 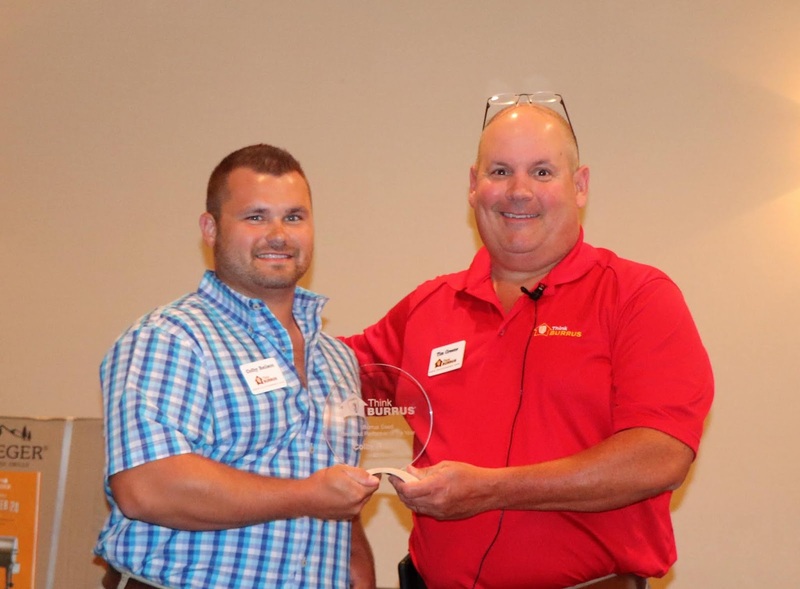 Jordan Watson of Shelbina, MO was awarded the 2018 Tom Burrus Award. A perpetual plaque listing annual winners of the award will be on display in the Jacksonville office. We have an outstanding sales team and enjoyed the time spent together as a group. Here's to the start of a successful new sales season!